Creative Suite 6 was released on Monday and has brought with it some changes to Adobe’s previous upgrade policies… Here below is a full summary. The first change, which we wrote about late last year, is the amended “one-version back” policy which states that current owners of CS3 or CS4 products (tools or suites) will receive temporary upgrade pricing to CS6 until December 31, 2012 – and after that date, only owners of CS5 or CS5.5 will qualify for upgrade pricing to CS6 (or to CS6.5 due out mid-2013). 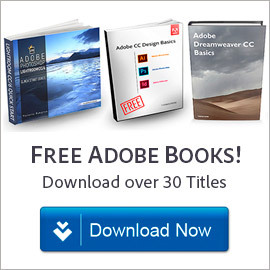 The second revision is that all CS6 upgrades can only be purchased directly from Adobe in most countries – resellers and retailers will not be offering them (except for volume licenses which are still available on Adobe.com or through channel partners). The final change now has to do with upgrade paths. Before you could upgrade from an individual point product to a suite containing that product, either in the same release or a subsequent release. So if you owned Photoshop CS6 then you could upgrade from that to CS6 Design & Web Premium, or to (say) CS7 Master Collection down the road. But this will not be possible going forward… For Creative Suite 6, you can upgrade to a newer version of the same application you already own (e.g., Photoshop CS5 -> Photoshop CS6), but not to a suite. In other words, owners of individual appli­cations qualify for upgrade pricing to the same product, but not to a suite edition. Similarly, if you decide to buy Photoshop CS6 now, you would not be able to later upgrade from that program to any full suite, whether it be CS6 or a future release like CS7 or CS8. Price reductions are not offered if you want to move from any standalone tool to a suite edition. However, owners of any previous suite will still be able to upgrade to any available Creative Suite 6 suite. So if you own any CS3, CS4, or CS5 suite, you can upgrade to any CS6 suite edition no problem (for CS3 and CS4 users only until the end of 2012, as mentioned earlier). CS2 and earlier software is too far back to qualify. But oddly, there is no longer any way to upgrade between two different suites within the same release… Meaning if you currently owned CS6 Design Standard and wanted to upgrade to CS6 Master Collection with discounted pricing, there is no way to do it now. You’d have to wait until CS6.5 or CS7 come out to get upgrade pricing to a bigger package – either that, or purchase the additional CS6 tool(s) you want now standalone. So what this means is a little more deliberation is necessary before deciding which CS6 product you’re going to get. Whichever track you choose, you can expect to stay on that track. If you purchase a standalone product, your upgrade path will keep you on just that product. If you purchase a suite edition, then your path will be for a choice of future suites going forward. Here Adobe is saying to decide carefully now, because you can no longer mix the paths. You might think, “oh, maybe you can buy a CS5 suite on eBay and then upgrade from that”… As covered previously, we absolutely do not recommend that. One other point – what if you need to run your software on both the Windows and Mac operating systems? Then you might want to take a look at how to buy CS6 multi-platform. 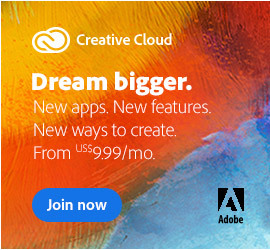 Note that per Adobe’s Creative Suite purchasing policies, you’ve never been able to go the other way – in other words, there’s never an option for upgrade pricing from a previous suite edition to a standalone CS application… The reason is because of the deep discounts Adobe builds into the suite collections, typically containing 7-9 different tools. Therefore, it’s not possible to upgrade just a single program or product from within a Creative Suite package. For more information and details on Creative Suite 6 worldwide pricing, upgrades, availability, and system requirements, see our companion CS6 Launch Guide. Or read more about how CS6 is different from previous versions like CS5.5, including a detailed product-by-product breakout of what’s new in every application. You can get started using the new products right away by downloading the free trials and then taking advantage of 30 hours of free new video tutorials or over 1,000 pages of free downloadable e-books to learn them. Does this also includes the Master Collection? This was always an upsell and this possibility is also skipped since CS6, I was told. Or, you can upgrade from any previous suite (all CS3, CS4, CS5, or CS5.5 suites) to CS6 Master Collection. Bottom line, the price will vary but you can upgrade between any two suites you want across releases. Does that answer what you’d like to know? I have the CS5 academic version. Do I qualify for the upgrade to CS6? So if you own a CS5 suite like Design Premium, you can upgrade it to a CS6 suite (any of them). If you own an individual CS5 tool like Photoshop, you can upgrade it to Photoshop CS6. And your discounted cost will be the same as for any other customer making those upgrades. Hope this helps! Okay, so I’m sure you covered this.. Maybe, but I just want to make it clear in my head. Can you upgrade just individual applications from a suite? Q: Am I eligible for upgrade pricing from a previous Creative Suite edition to a standalone CS component? Any upgrade path from Studio 8????? I know I am behind but still have a substantial investment from MX to Studio….and 2004. Greetings Mark, per first change to Adobe’s upgrade policy discussed in the article, owners of CS3 and newer versions right now can receive discounted upgrade pricing to CS6… Then, at the end of this year, that will change to being only current owners of CS5 and higher. So there is no upgrade path for anything older than CS3 – sorry about that! I am an instructor at a college and have the CS5 suite installed. I use the Photoshop component daily, but infrequently use the other programs. Adobe tells me that I have to upgrade to the CS6 suite to get Photoshop CS6. Being an educator, I can purchase the standalone PS6 Extended for a very low price and save on the suite. Am I able to install CS6 Extended, full version (academic) successfully as a standalone program, without affecting my CS5 suite? That goes for both suites as well as individual tools – see here for more information and details. 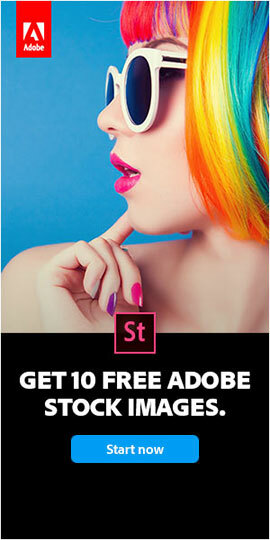 So Adobe managed to completely sideswipe me here then. At the tail end of last year in response to the announcement that CS4 suites would not be eligible to upgrade to CS6 I upgraded to CS5. In spite of having a standalone version of Photoshop CS5 in addition to my Web Standard CS4. I upgraded the suite, since Adobe had dropped Web Standard I was forced to choose a different suite – which inevitably also included Photoshop. I now find myself in the position where Adobe have reversed their decision over the suites and now prevent me from upgrading my point product to a suite – which had been my intention (web std to CS6 and Photoshop to my wife’s machine and upgrade to a suite). Way to go Adobe, thanks. I’m disgusted with the way this has gone. Had they been clear with the upgrade policy I would have upgraded the Photoshop to CS5 suite and then had the opportunity to upgrade the CS4 suite before December. As it is I find myself with two copies of the same software and the removal of my chosen upgrade path. Adobe has been making accommodations for some customers in your position who felt compelled to upgrade before they ordinarily might have because of the changes in their upgrade policies. Please follow this link to read about others who’ve contacted the company and worked out a solution – and let us know how it goes! What would the upgrade cost be of moving from Photoshop CS5 educational version to CS6 educational?? Well Mike, you can upgrade from your CS5 education edition, but cannot upgrade to another educational version… That is because Adobe’s student & teacher editions are so heavily discounted to begin with. 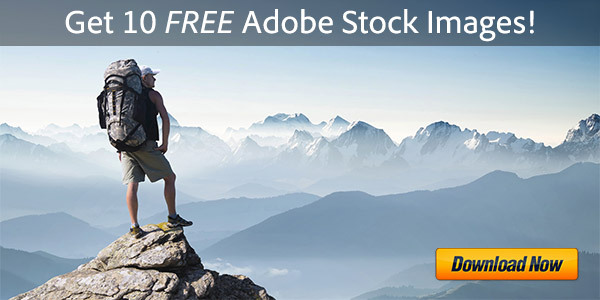 What Are the Limitations of the Adobe Academic Versions? Will the mid-cycle releases count as “one release back” on the upgrade policies? So if in the future if you have CS6, will you have to get CS6.5 too, or will you be able to go to CS7? In other words, if you currently own Creative Suite 6 as you described (say either CS6 or CS6.5), then to retain eligibility for future pricing discounts you wouldn’t have to upgrade again until Creative Suite 7 (either CS7 or CS7.5) comes out. When Will Adobe CS7 – or CS6.5 – Be Released? Why can’t we upgrade from Studio 8? It’s ridiculous that Studio 8 holders cannot upgrade their suite products. Hey Dave, Studio 8 came out in 2005 – unfortunately that’s just too far back to receive an upgrade discount… Some major software companies today (like Microsoft) have eliminated upgrades altogether, while others like Adobe still allow one version back. I am not sure if the answer is already posted, but it is not too clear for me. I want to know if this upgrade path is possible ? 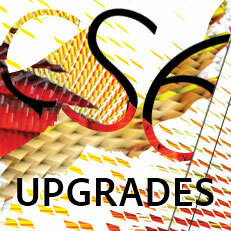 You can still buy or upgrade to CS6 here, direct from Adobe. 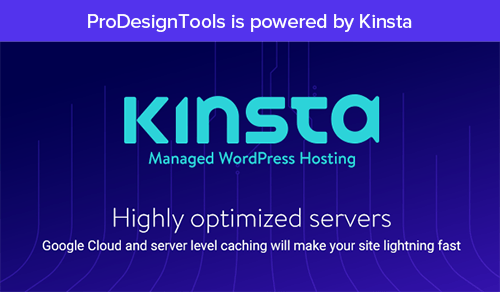 Select the platform and language you want, then just check out and you’re done – the license and serial number for the new tools will be sent to you immediately. Note that all the CS6 free trial downloads are still available as well.